Since cucumbers are filled with water, it can help with stool consistency and prevent constipation. Also, cucumbers contain fiber which is necessary to maintain healthy bowel movements. Pectin, soluble fiber found within cucumbers, definitely helps to increase the frequency of bowel movements. During a study with 80 participants, it was proven that pectin speeds up the intestinal muscles and feeds healthy bacteria in the gut. What a great way to promote digestive health! But note that most pickles bought at the store do not contain such wonderful benefits because of the fact they have been boiled out. Bummer! Yup! Cucumbers can actually help you lose weight! They are extremely low in calories. An 11-ounce cucumber only has 45 calories! That means this yummy food can fill you up for a fraction of the calories. Also, the high water content helps to keep you full! Lucky for us, cucumbers contain pinoresinol, lariciresinol, and secoisolariciresinol. Q: What the heck are they?!? A: These are called lignans, a type of polyphenols. These wonderful components fight cancer. They fight against uterine, breast, prostate, and ovarian cancer. Another cancer-fighting agent found in cucumbers is called cucurbitacins. They block the necessary pathways cancer needs to develop and survive. Woot! Woot! There’s a wonderful anti-inflammatory flavonol found in cucumbers called fisetin. It greatly impacts the brain in a positive way. It improves memory, protects nerve cells from declining in function (due to age), and really helps against the effects of Alzheimer’s. Another great health benefit of cucumbers is its ability to fight headaches. They reduce swelling and inflammation. Therefore, eating a food high in magnesium and water (like a cucumber) can fight off a headache. How awesome! If you’ve been struggling with bad breath, here’s a cure for you to try. Place a slice of cucumber on the roof of your mouth and it will eat away the bacteria that causes odor. Because cucumbers are filled with wonderful A, B, and C vitamins, it’s no surprise that they provide you with energy and increase your immunity levels. Eating cucumbers is a way to obtain quick relief from heartburn. Apply some cucumber on a sunburn for pain relief. It also removes the itchy feeling! Since cucumbers are filled with water, it causes the body to quickly flush out the body of toxins. If you eat them regularly, they are known to dissolve and eliminate kidney stones. There’s a substance known as sterols that are found in cucumbers. These reduce bad cholesterol levels. Not only does it remove the bags from under your eyes, but it also reduces swelling and puffiness that can be found underneath the eyes as well. Plus, research suggests that cucumbers trigger anti-aging and anti-wrinkling activity. In case you were wondering, that’s why cucumbers are used in spa treatments. Cucumbers are a wonderful source of Vitamin K. (One cup has 19% of your recommended daily intake value!) Plus, Vitamin K can lower fracture risks and beneficially affect calcium levels. Also, there’s silica found within cucumbers. This substance helps to strengthen weak bones. You can find caffeic acid and ascorbic acid in this vegetable, too. These help to create strong ligaments, tendons, and cartilage. Although eating a balanced diet of fruits and vegetables is a great start to a healthier heart, eating cucumbers can most definitely help because they contain potassium. Unfortunately, only less than 2% of adults in America receive 4,700 mg of potassium recommended per day. Therefore, cut up some cucumbers and get to snacking! Also, cucumbers promote vasodilation, which is just a scientific term for ‘widening of the blood vessels’. This means that it reduces hypertension and lowers blood pressure. Ultimately, this leads to a lower risk of heart disease and other heart-related illnesses. By keeping a healthy pH level in your body, you can prevent cancer. Cucumbers are one of the awesome foods that fight acidity and kills free radicals. For more information on how to read a nutrition label, click here. 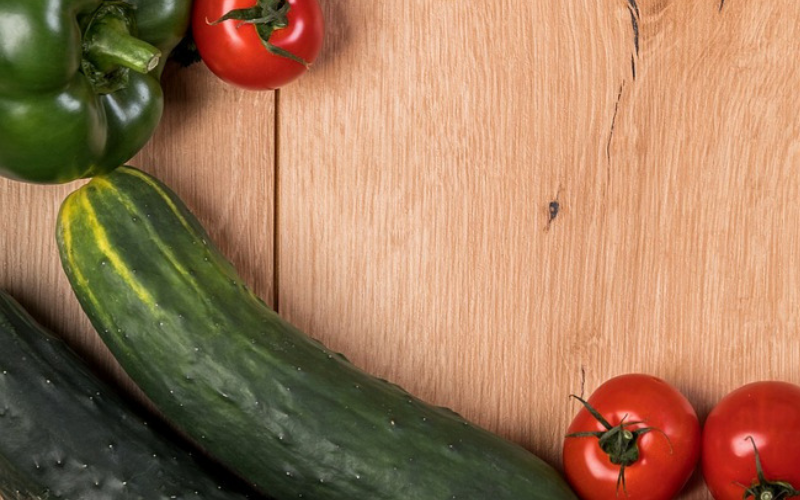 Were you surprised by any of these wonderful health benefits of cucumbers? I’d say, don’t waste any more time and add cucumbers to your shopping list today! ← The Daniel Plan Will Change Your Life Forever!